Arcade style shoot'em up. 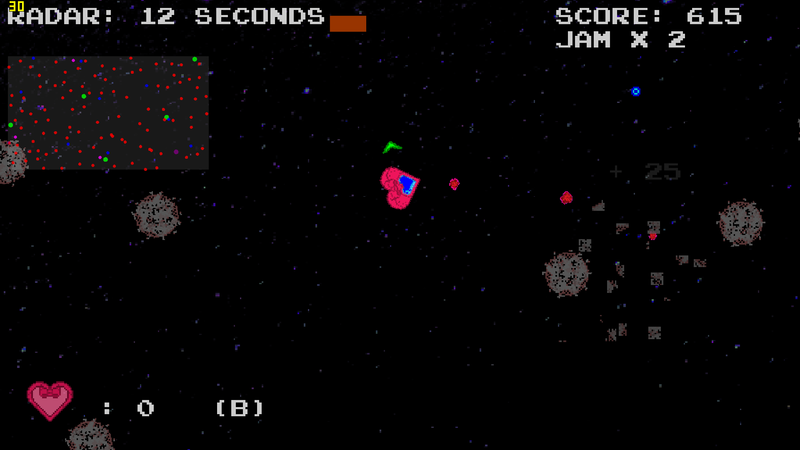 Radar and fuel is limited, find Jam to fuel your ship! Radar signals will activate your mini-map for a short time. 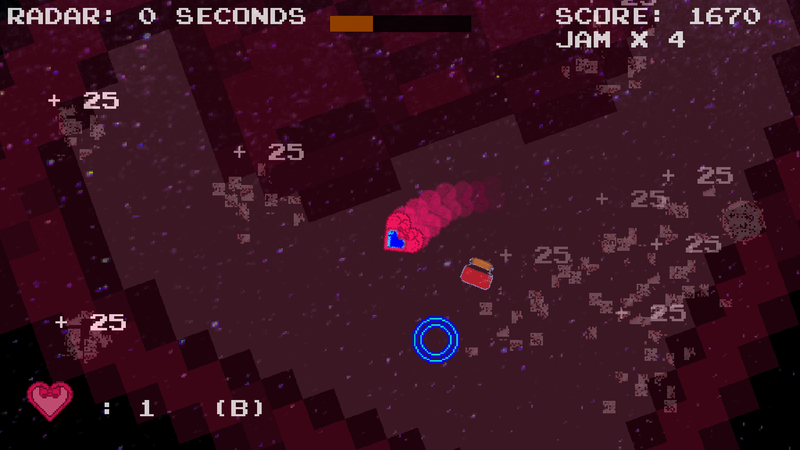 Watch out for asteroids or shoot them with jelly! A heart bomb will take 'em out if you get surrounded! 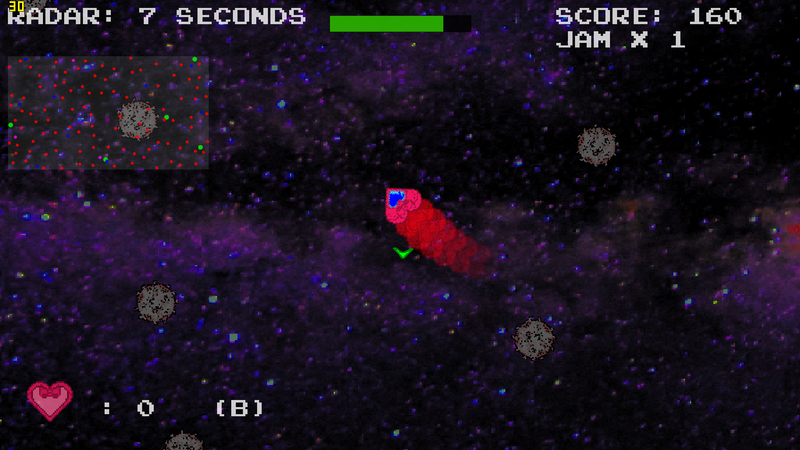 This game was created in 72 hours for the Heart Jam, in March 2018. 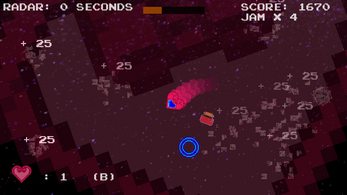 The theme of the Jam is scarcity. *Original game re-uploaded, as per the rules. 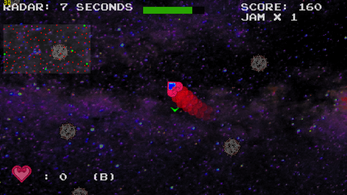 Changes were made to the title screen, some values were adjusted to change difficulty, and mouse/keyboard controls were added to the 1.2 version.